F148CH33 COMPACT HIGH RAIL Powered by: 120 Technology Drive Troutman, NC 28166 www.cronsrud.com © Copyright 2017, C.R. Onsrud Incorporated. All rights reserved. Advanced Materials • Non-Ferrous Metals • High-Speed Machining • Large Part/Envelope Machining 24,000rpm Hi-Torque 15HP Spindle w/ optional 24HP or 33HP 84" of X-Axis 144" of Y-Axis 53" of Z-Axis HSK 63F tool Shank 15-Position Hideaway Rack Robotics Integration* The newly redesigned Compact High Rail Series CNC machining center provides a generous cutting envelope delivering more power, rigidity and accuracy. 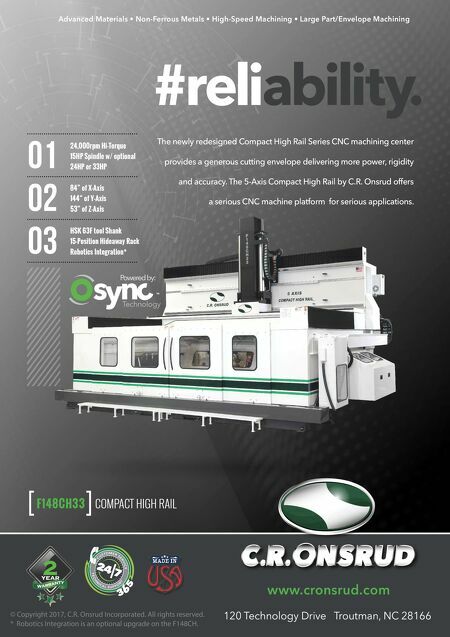 The 5-Axis Compact High Rail by C.R. 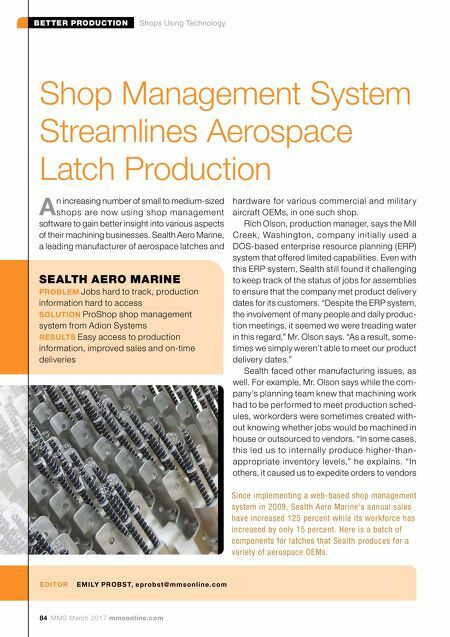 Onsrud offers a serious CNC machine platform for serious applications. * Robotics Integration is an optional upgrade on the F148CH.